Hello everyone! 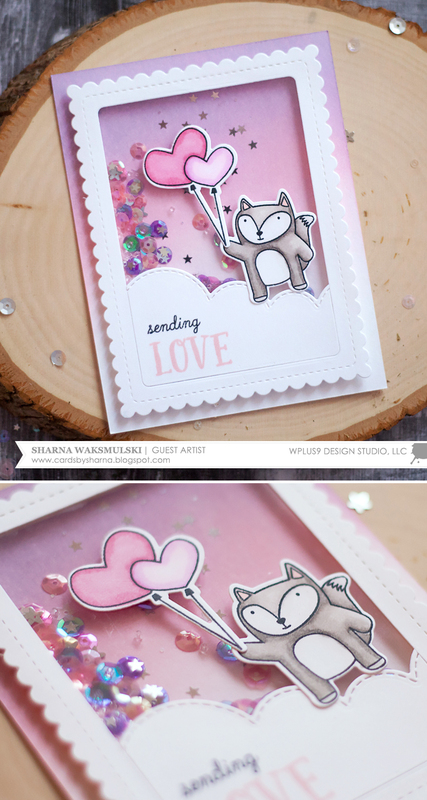 This is Yana here and today I’d like to share a set of stamped Valentine’s Day cards. 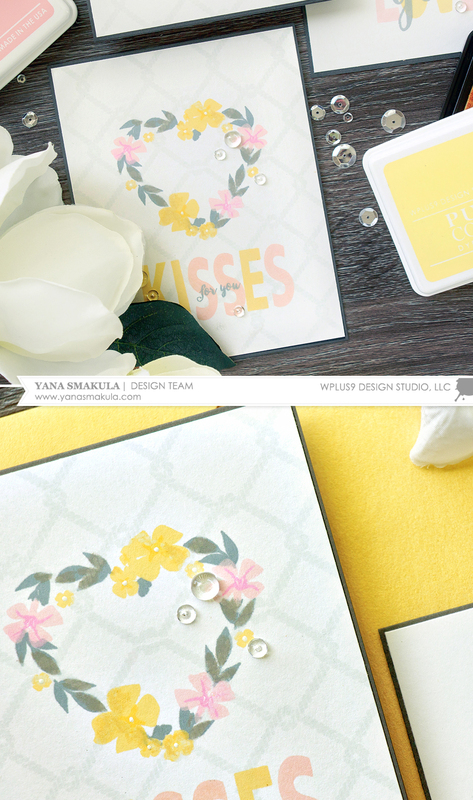 This card design can also be used for Wedding Cards or even to create one of a kind Wedding Invitations. I started working on these by stamping beautiful floral heart-shaped wreath from the Fresh Cut Wreath stamp set. If you’d like to re-create these cards and would like to stamp a background like the one I stamped on some of these it is best to start with the background first and later stamp the wreath and sentiment. Light gray, pink and white is my go-to color combination for Valentine’s Day. To spice it up for my today’s cards I also added a hint of yellow. I used PURE COLOR Dye ink in Silver Lining, Hayride, Wild Mango, Shell Pink and Little Piggy to stamp the wreath and also Fairy Dust to stamp the background pattern. You can always go with brighter colors if you prefer. The background pattern, by the way, comes from another set from WPlus9 - Dockside Backgrounds. 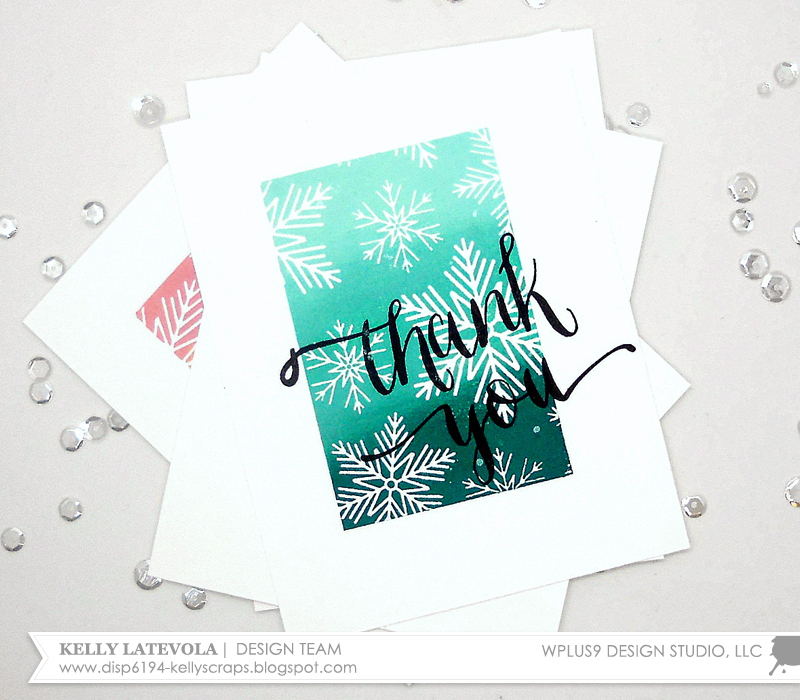 I recently used another image from that set to add some interest to a one layer stamped encouragement card. Even though it is a nautical set I find myself reaching for it more and more often to create everyday projects. For my sentiments I went with the new Whimsy Alpha. I love how big and bold the letters are and for these cards I only used solid stamps and completely skipped detail layers with dashed or dotted outlines. I used same colors of ink and stamped simple messages like “Kisses For You”, “Love You” and “Adore You”. To help my pastel stamping stand out I adhered these panels onto A2 top folding card bases made out of Coal Mine cardstock from WPlus9. Hello Crafters! I hope you all had a wonderful Christmas this weekend! It's always wonderful and exhausting for us. I wouldn't have it any other way though, we are so blessed. Speaking of all the ways our family and friends spoiled ahem, blessed my child I have plenty of thank you cards to send out. How about you? 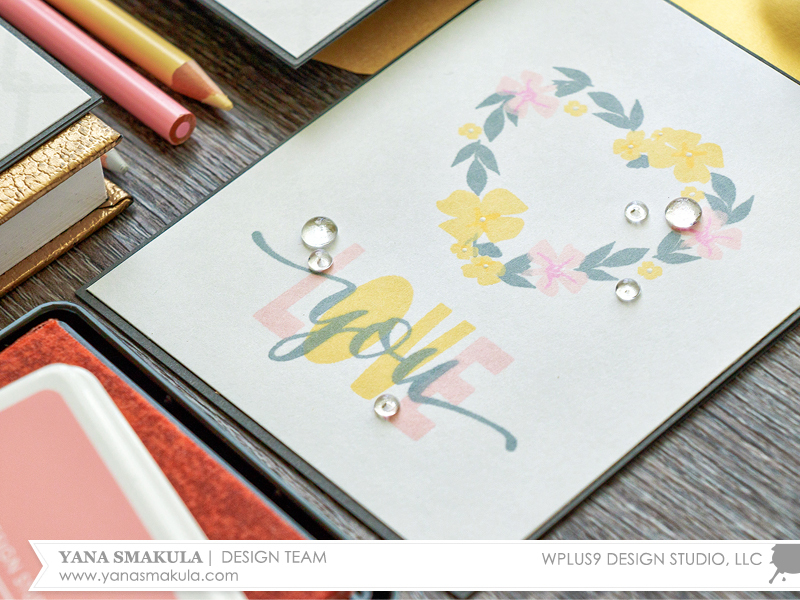 I'm all about simple pretty cards that I can mail really easily, so that's what I'm sharing with you guyus today. It's been a few years sine the Hand Lettered Thanks set came out. I can honestly say I love it just as much now as when I first bought it. It's one of those sets that is a classic. I'll use it forever. I knew immediately I was going to be reaching for it again this season. I really wanted something that was going to give the winter vibe without the Christmas vibe. Snowflakes fit the bill perfectly. You can see how all these cards came together in the video below. It's a quick one, because these cards are! Which card do you prefer? Bright and colorful or ombre? Clean and Simple or super minimalist? I love them both because they share my favorite things. Clean design, color, and quick assembly. Makes me a happy girl! Thank you so much for dropping by! I wish you the very best heading into the new year!! 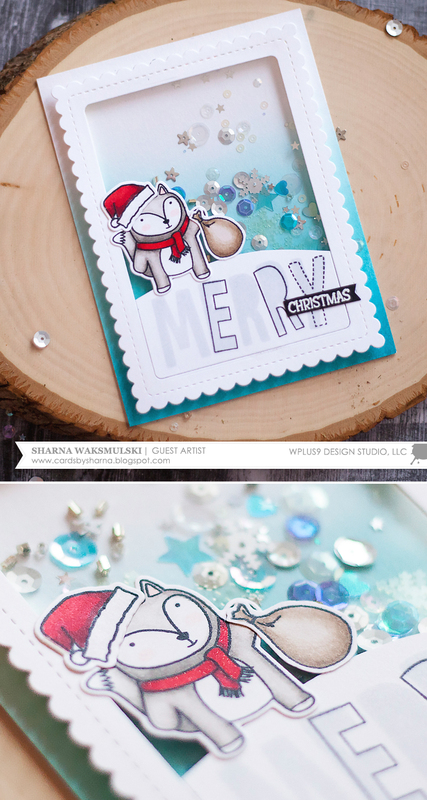 Hello everyone, Sharna here, so excited to be guest designing for Wplus9 today! 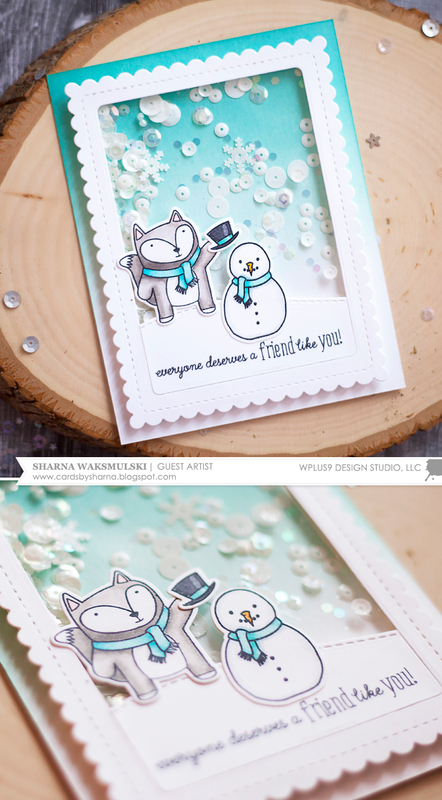 I have three cards to share with you featuring the new Friends for all Seasons: Winter stamp set & a few others from this release and last. For today's cards I decided to make shakers. I love the extra touch of an interactive card. Shakers can seem difficult but I promise they aren't! I have gotten into the habit of making several cards all at once while I have all my supplies out. 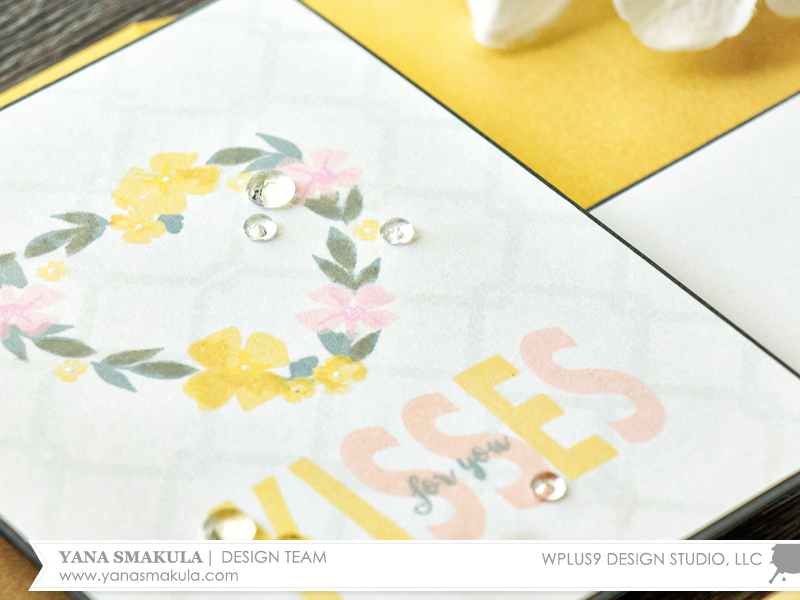 It is really easy to switch up the colors and sentiments to make each one unique but not really take much more time than the single card would be. For my backgrounds, I chose a bunch of distress inks & dye inks in a few of my favorite colors. I used a foam ink blending tool and watercolor paper. My tip for blending is to hold the base of the blending tool instead of the handle and start off the paper. I keep scratch paper under my cardstock so that absorbs some of the ink before I bring it onto the paper. For the frame of the shaker portion of the card I used the Sunshine Layer Dies. I nested the inner rounded edge die inside of the outer scalloped edge die, taped them together with washi tape and ran them through my die cut machine. I applied a piece of acetate cut slightly smaller than the frame with some tape runner to the back side of each frame. Then I doubled up some foam tape before cutting in half lengthwise so it was thin enough to hide behind each frame (shown in step 1 in the image below). Running some powder tool around the edges keeps the sequins from sticking to any of the foam tape (see step 2). 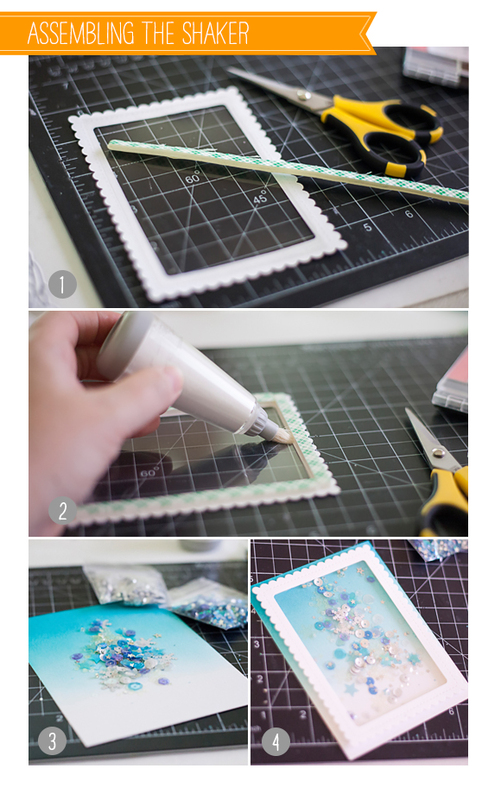 Since my background is larger than my window frame I put the sequins in the middle in a pile taking care to keep them from the edges where the foam tape will go (see step 3). I then lined up my frame and set it down over the sequins (step 4). I really hope you enjoyed my shaker cards!